The Volkswagen Group thinks the North American Market is pretty special. Over the years, they have brought all kinds of different vehicles here to entice buyers that have never owned a VW. Most recently, they debuted their 2014 Golf in September of this year. Let’s talk about Golf’s history. It was introduced in 1974. It was later called the Rabbit in the U.S. And by the start of 2013? The Golf will have racked up sales of about 30 million units worldwide. That’s million. That’s also quite a record for a single vehicle concept. Of course, Volkswagen wants to keep up that flow of sales by making sure their products remain fresh and appealing to new buyers. So let’s get to the stats that’ll be important to you. Keep in mind that this is a trunkless vehicle with cargo space of 16.3 CU-FT. The seating space is 2+3. The Golf has a 2.0 TDI I4 engine with power of 146 HP / 236 LB-FT of torque that uses a 6-speed DSG transmission and a front-wheel drivetrain. The 0-60 test showed a speed of 8.4 seconds. The MPG for the 2014 Volkswagen Golf is 36 City / 50 Hwy by estimation. And the price tag for the vehicle that was tested? Around $29,500. When you get inside, you’ll see the interior has been spruced up a bit, too. The center dash is tilted more toward the driver and the center console is shifted forward by eight-tenths of an inch for modern-day arm lengths. Although that adjustment doesn’t sound like much, it really does make a difference in driving comfort. The legroom in the front is also increased due to the longer wheelbase. The vehicle height has been reduced by 1.1 inches, but the interior passenger space has actually been increased for headspace thanks to a newer design in the seats. All-in-all, the 2014 Volkswagen Golf is a whole new vehicle, and found to be nearly perfect in its sensible size and performance. In ‘The Drifters’ by James Michener, a VW Bus played an important role in getting people around. It got me traveling. And everyone I knew wanted one of them. And then I got a 1969 VW Bug. And life was good. I drove that car cross country….from Los Angeles to the East Coast. Great gas mileage by the way. And a good, cheap car. But that was then. And this is now. The VW Bug has sold more than 21 million cars world wide. 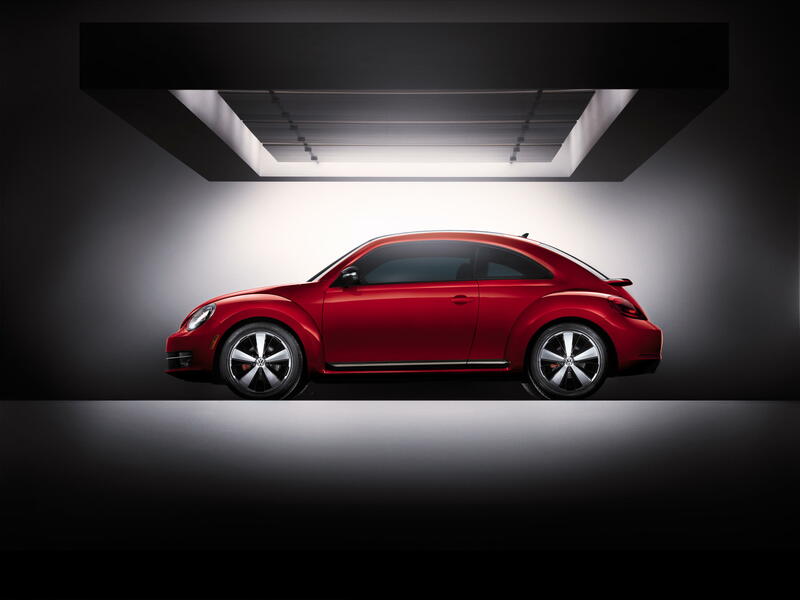 While the overall appearance of the Beetle has changed little over the years, it has received over 78,000 incremental changes during its production. The Beetle has made numerous appearances in Hollywood films, most notably as Herbie in The Love Bug. Racing number 53, by the way. From Daytona to Cocoa to New Smyrna Beach…A car you’d look great in. Be on the look out for it. You are currently browsing the archives for November, 2012.